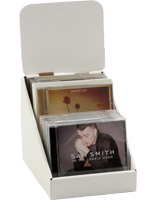 These CD Holders are Made of Acrylic for a Display that Blends in With Any Environment! 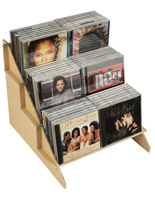 The Music Racks are Great in Commercial Shops, Food Venues, and Other Locations. 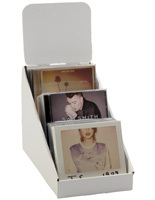 The CD Holders are Composed in a Tiered Design Making for Easy Browsing of Selections. 3 shelf holder displays 15 CDs! Tall Sign Fixture on back for custom information! Made of durable, clear acrylic! 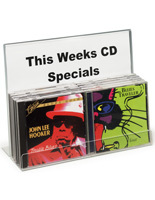 These CD holders, called compact disc displays, are perfect for any commercial setting. The music stand is a sophisticated choice for displaying titles. The CD holders have 3 shelves that each holds 5 CDs. The compact disc racks can display a total of 15 music albums. 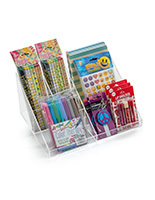 The CD holders are ideal Point of Purchase displays because they are efficient and affordable. These compact disc racks, CD holders will grab the attention of your customers and tempt them to purchase the items that are on displays. 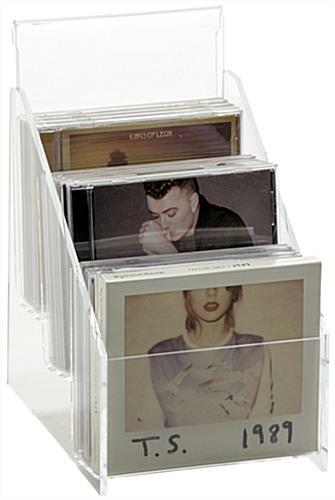 The CD holders that are durable are made of clear acrylic. 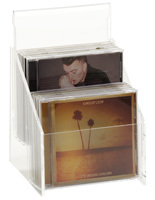 The compact disc displays come with a built-in message holder, which will accommodate inserts that measure 5-3/4" x 7". 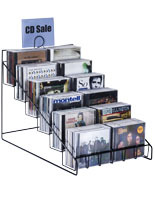 The CD holders with area for signage demands customers' attention. 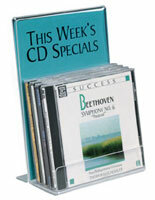 This music display is designed with 3 levels that each measure 5-3/4" x 3". The CD holders are 2-1/4" deep with 4-3/4" tall backs. The signs for these displays are able to use any word processing program to customize them. 32.0" x 10.8" x 20.0"